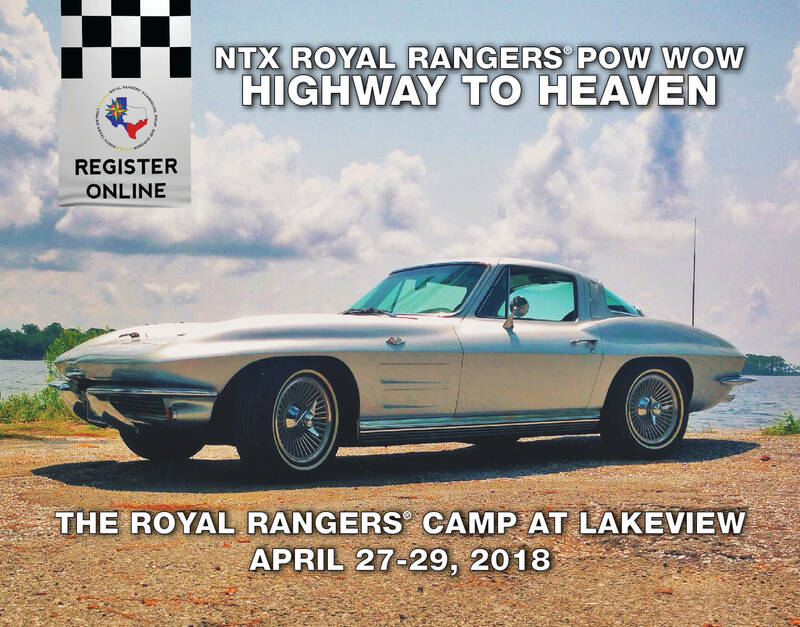 The North Texas Royal Rangers 2018 Pow Wow, their largest event for boys, the theme was Highway to Heaven. 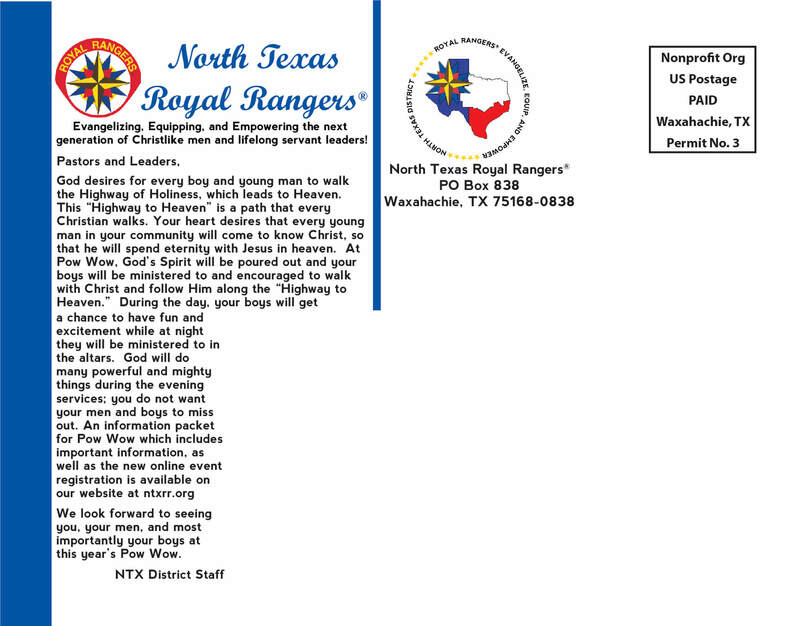 The front of the postcard was designed with a classic sports car in the background with event info in the foreground. Some of the activities at the camp included a Ranger derby with pinewood cars and a Lego Derby. As a nod to those activities and to let people know that they could register online, a flag banner was included with the racing black and white alternating squares.